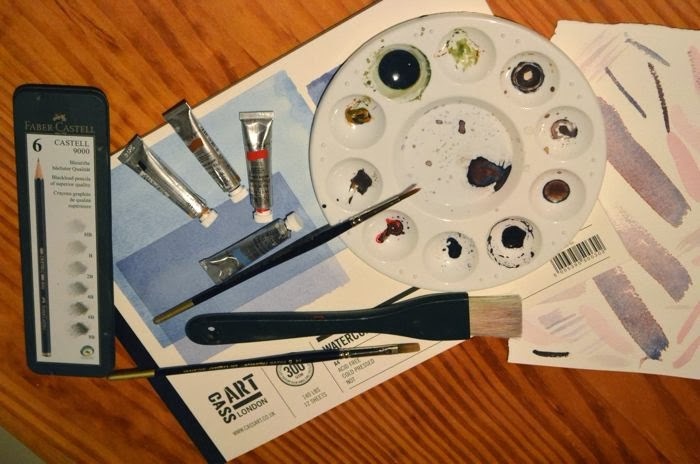 I visited Windsor Castle a few weeks ago with my newfound friends from Philadelphia, and I absolutely fell in love with an exhibit there called, "The Royal Paintbox." It chronicles members of the Royal family who have been artists for the past 350 years. Apparently, art classes always have been part of the formal education of Royal family members. Queen Victoria was and Prince Charles is an avid water colorist, and they have, in fact, painted many of the same landscapes at Balmoral. The exhibit inspired me to sign up for some art classes while I have been in London. I emailed one of my dear friends, a sorority sister and college roommate, who had majored in art and asked her for suggestions. Per her recommendations, I looked for drawing and watercolors classes. 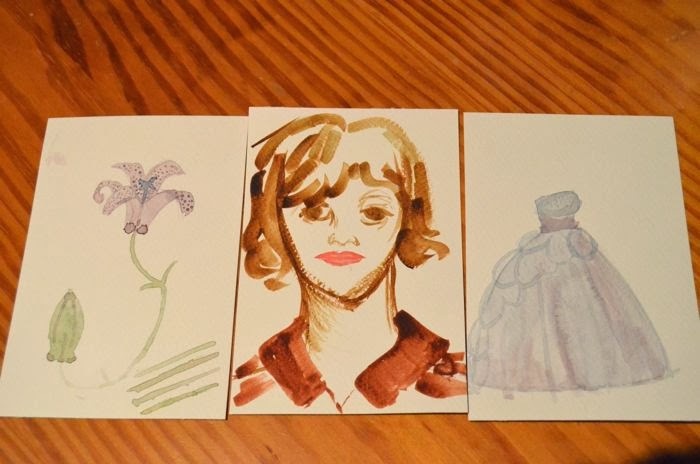 Thankfully, I sneaked into a watercolors class and have been going to classes for the last several weeks. I was incredibly rusty at first -- it's been over twenty years since I've done any art! Above are some of the examples of my work from the first week or so. Taking the class and painting each week has given me an even stronger appreciation for the amazing talent and genius of great artists. My need for precision often was confounded by watercolors. 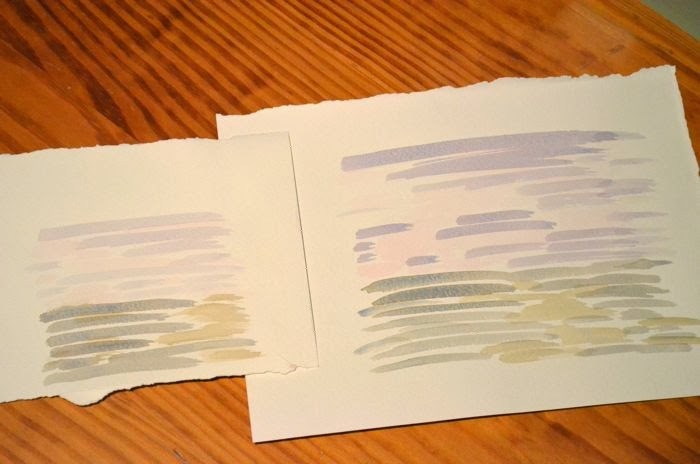 The more I practiced, the more I was able to get a handle on how the medium worked; and the more I painted, the more I was able to have fun with the imprecision and unexpected results of watercolors. Above are some paintings where I was just exploring. And I finally started getting the hang of it! Above are some small pieces from my last weeks. 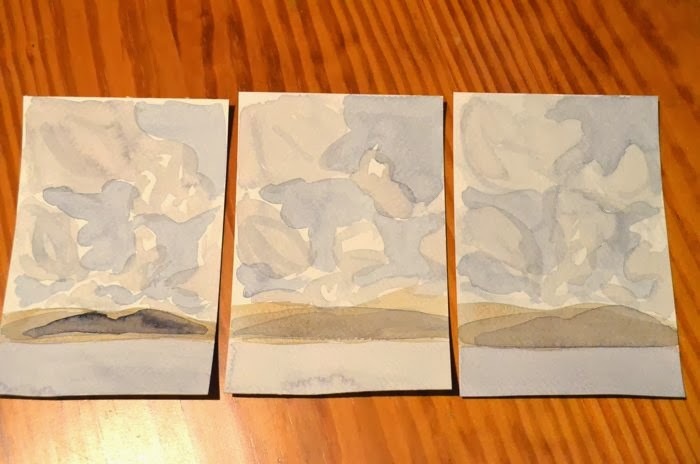 During the class, I loved painting the sky and clouds and their infinite shapes and colors. I've already looked into some art classes offered at the Kansas City Art Institute for when I get back to the States!